LSI Portsmouth Blog: We are Looking for a Restaurant Manager - Is it you? We are Looking for a Restaurant Manager - Is it you? We are looking for an enthusiastic, passionate, hard-working and committed Restaurant Manager to help us launch, staff, publicise and run successfully and profitably a brand new brasserie restaurant that is part of the LSI Portsmouth building and is shortly to open in the heart of Portsmouth’s university quarter. This is a fantastic opportunity for a Restaurant Manager with energy and ambition who has the drive and passion for delivering great food, outstanding customer service and helping us host evening cultural and social events. As Manager, you will look to maximize the financial performance of the brasserie as well as the quality of food and service and to manage individual team members’ training and development. The Manager will report directly to the Principal of LSI and also to its owners, who will have specific events and services they will be running in the brasserie. 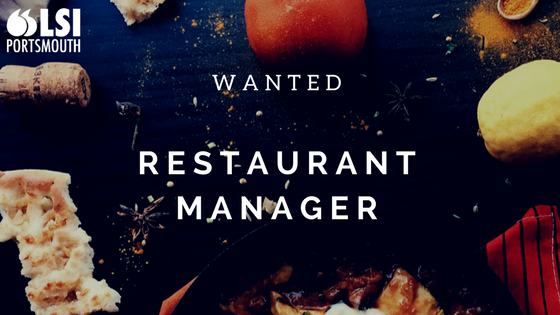 You will need to be not just a manager of a team, but also a flexible team player who will work closely with LSI’s Principal and other staff to ensure the vision for the restaurant, combined with its profitability, is achieved. Bring us experience of managing people and driving business performance, together with a passion for great food and great service and a love of success and in return we’ll share a piece of our success with you. Starting salary - £24,000 plus generous Profit-Related Bonus. Applicants should send a CV and covering email explaining why you are interested and suitable for the role to the Principal of LSI Portsmouth, Andrew Edwards: Andrew@lsi-portsmouth.co.uk by Wednesday 24th January. The role will commence as soon as possible and the first task will be to recruit a Head Chef. "As Manager, you will look to maximize the financial performance of the brasserie". "As Manager"? Or should one say as a manager? Is this really a language school? I’ll throw it back to you, which do you think is correct here? We are looking for a new President. As President you will decide policy as well as run the country. We are looking for a new President. As a President you will decide policy as well as run the country?